Facebook was born in a Harvard dorm room and formally launched in 2004. It wasn't long before the social network rapidly gained attention. After 2007, Facebook began to truly skyrocket into the mainstream. It steadily gained on its market share and eventually captured the attention of over a million users worldwide. The network officially became more popular than former social media network king MySpace in 2009. Fast forward several more years, and today the network still dominates the Web as one of the most visited websites daily. In 2013, more than 1 billion people have Facebook accounts worldwide. While things have tapered off a bit in terms of growth, the network is still going strong. How and why did Facebook become so mainstream? There are several reasons why Facebook managed to become a dominating presence on the Internet and continues to maintain this market position. Facebook took a good idea and ran with it. Initially called thefacebook, which linked Harvard University students in an online forum where they could socialize, the website was soon renamed to the cleaner sounding "Facebook". At the time there were just a handful of people involved with the company. Before long, the membership was opened up and expanded to other colleges and then high schools. Eventually, membership was offered to anyone who wanted to join. Staff expanded as well. Apps, such as gifts and games, were added and the company integrated many features that were appealing to people. These features would keep people on the site surfing to other places on the Web to find these activities. Always a free service to users, Facebook and its savvy business model rapidly grew. As more people joined the network, the larger its circle grew and it was not long before positive network effects began to take hold. After Facebook became the most popular social media website, it seemed everyone jumped on the bandwagon. Over time, if you weren’t on Facebook, some might say you weren't truly "social" in the modern sense. While that isn't exactly true, the way the model has evolved, it may as well be. By the time 2013 rolled around, there was already a huge societal dependence on Facebook in 2013 that still continues, which led to the next phrase in Facebook’s rise to the top. Facebook, between its savvy business model and its large membership, has managed to create a societal dependence on the network. Millions of individuals literally have their lives connected to Facebook, either through contacts, event planning, businesses, address books and linking Facebook to important other accounts. Many smaller businesses have built their models based on Facebook's platform. Consider all the games, applications, and mobile products that rely upon the social network in order to perform. Additionally, many nonprofits and other causes routinely use Facebook in order to gain more visibility. 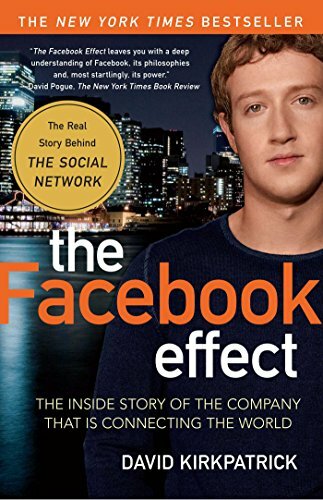 If Facebook were to crash, it would likely cause a huge ripple effect on many businesses. This dependence is probably one of the primary reasons why Facebook has become so mainstream despite competitors coming and going. Can it Last for Facebook? While Facebook rapidly rose to success, one question often asked is how long will it last? Can a social network model maintain a permanent dominating presence on the Web? After all, trends do come and go. After all, did anyone ever imagine the mighty AOL would falter and fade out of the limelight? Facebook is also continuously criticized for its privacy practices. Will people eventually be burned out from Facebook and move to another network? This network had tried to change the dynamic of social media a bit by offering financial benefits to members who earned money based on the original content they shared and number of people they recruited. Members earned money by doing many of the same things they were currently doing on Facebook. Tsu also allowed members to give donations to approved charities and member to member payments, which since Facebook does not distribute any monies, is one feature the social media giant does not possess. In the end though the tsu model, as it was structured, was not able to sustain. Although, while the future is unwritten for all of social media (there are other networks also exploring the pay for post model in different forms), what is certain right now is that Facebook will continue to remain mainstream, at least for the immediate future. Too many are already invested.